Forget all about history, forget all about wars. Forget laws of gravity, and just press pause. Helsinki’s dream pop group Delay Trees is a band of theatrically epic proportions. Featuring the musically expansive workings of four friends, the Nordic four-piece formally rehearsed under their current moniker in 2007 and recorded their debut Soft Construction EP within the confines of a friend’s home studio. The band released the record in early 2009, featuring their first single, “About Brothers,” released in 2008, and leading to their signing with indie record label Johanna Kustannus. Delay Trees went on to record their self-titled full-length debut, first released in Finland in 2010 and, later, the United States in 2011. Their latest release features the record-opener “Gold” and other singles like “Pattern” and “Quarantine.” The band tours Europe frequently, but recently made their North America debut at the Canadian Music Festival in March 2012. On Delay Trees Facebook page, they list their influences simply as “Christmas carols & Lullabies.” And while the Finnish four-piece, originally from Hämeenlinna and now based in Helsinki, come from a country where wild reindeer still roam around, don't expect songs about Santa Claus and sleigh rides. 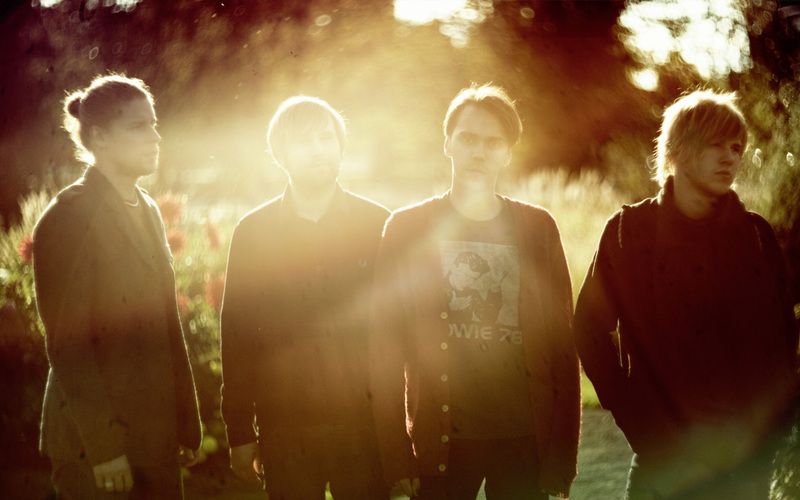 Instead, on their self-titled debut album (released in 2010), Delay Trees dabble in everything from melancholy shoegaze to dreamy, ethereal pop that seems to shimmer. One of their new songs, “Pause,” which will be released on a forthcoming album later in 2012, has the line “forget laws of gravity/and just press pause.” So we asked vocalist/guitarist Rami Vierula to answer the following question: if you had the ability to pause any moment in time, what moment would that be and how would you take advantage of the whole world being paused while you had the freedom to do whatever you wanted, wherever you wanted? Read on to find out his answer. "Pausing the world is exciting enough but when you add the time travelling bit into it, it gets super-exciting...I think I’d teleport myself to London 1967. First I’d stroll around Carnaby Street and see if it really was the beating heart of the swinging 60’s that everybody keeps talking about. Naturally I’d also get some cool tailored mod-suits with me. Then I’d walk into a guitar shop at Denmark Street and grab myself some vintage Rickenbackers. Would I pay for these? I bet there would be no ATM’s around I could use and I usually don’t carry any pounds with me. Maybe I could leave them some euros but that would just look like play money for them. Assuming that I could take the stuff with me back to the future, I think I’d have to just take it. The temptation would be too great to resist...Then I’d visit the Abbey Road studios where the Beatles would be recording Sgt. Pepper. I’d be just hanging around and if I could unfreeze the time, I’d try to sneak myself a little part on the record. A tambourine track or something. Since I’m already stealing stuff, I guess I would have to take a little souvenir with me. Maybe George Harrison’s guitar strap or Ringo’s drum sticks." -Rami Vierula, Delay Trees.